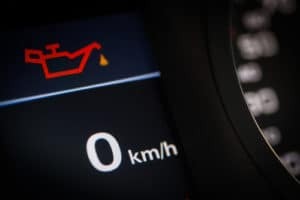 If your vehicle is equipped with synthetic oil, you can go as long as 7,500 or even 15,000 miles before needing an oil change. That’s much longer than a conventional oil change, which should be done every 3,000 to 5,000 miles. You know the synthetic oil change interval, but why are oil changes so important? Should you be using synthetic oil for your car? We’ll help answer these questions for drivers like you in the Stratham, Portsmouth, and Exeter areas.  Read through our informative guide, and contact us at BMW of Stratham if you have any questions. Oil is what keeps the engine’s moving parts lubricated and cool. If the oil is dirty, those parts will not only get very hot, but will also start grinding against each other. That combination will lead to engine failure, which means you’ll need to pay a lot to replace it. By getting regular oil changes, you’ll help keep the engine working at its best for many years and miles. Plus, it’ll improve gas mileage. If the engine isn’t properly lubricated, it’ll work harder than it should. This will result in increased fuel consumption, which means you’ll need to stop at the gas station more frequently. However, according to the U.S. Department of Energy, routine oil changes can improve gas mileage by 1-2% over time. This equates to saving on an entire gallon a gas a year! It’s clear that oil changes are important, whether you use synthetic or conventional oil. While they both protect the engine, there are several differences between them. Conventional oil is derived from petroleum and stays at its purest form. For many years, conventional oil was your only option. Synthetic oil has become more popular over time. Like conventional oil, this type comes from the ground. However, it then gets distilled, purified, and broken down to basic molecules. Those molecules will then get chemically altered so that they can meet the demands of modern engines. Conventional oil is still recommended for many vehicles, as it’s more affordable and accessible. There are instances when synthetic oil may be the way to go. It’s designed to resist breaking down, unlike conventional oil. Over time, conventional oil will break down and turn to sludge, which can cause great damage to the engine. Synthetic oil, on the other hand, will resist that formation of sludge, preventing any deposits from forming inside the engine. Furthermore, synthetic oil is a better option if you live in a very hot or very cold region. It withstands high temperatures better than conventional oil and also flows more quickly in low temperatures. If you often take short trips, conventional oil may never get warm enough to burn off any impurities. Because of this, it may break down much faster than you like. Synthetic oil will start doing its job right away. So, whether your commute is 5 minutes or 50 minutes, it’ll protect your vehicle’s engine, regardless. If you think it’s time for a synthetic oil change, then schedule service at BMW of Stratham. Our technicians will work quickly and efficiently, so you can be back on the roads of Stratham, Portsmouth, and Exeter in no time. Don’t wait. Schedule a synthetic oil change today!